That is the single, underlying cause of this season’s ups and downs. Training was leisure time; I avoided strict structure, did what I wanted and had other priorities. It wasn’t without results, apply a stress often enough and it will lead to changes, but directionless it built towards nothing and eventually collapsed. There were compounding factors, but at the core was a lack of psychological investment in my fitness, I was happy to focus elsewhere. It’s not a total write off – I’m not unfit, lessons can be learned and it leads to a different season analysis. I don’t need to pull data from WKO+ to prove I have trained less, but putting figures into Excel gives me the raw statistics. 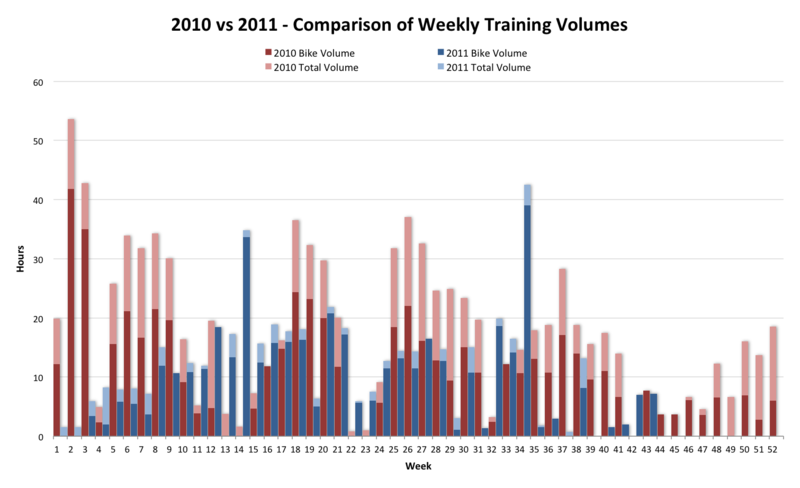 At this point in the year I have just over five hundred hours training, 60% of my volume from 2010. Besides the large difference in hours, the distribution of training also diverges – this year 85% of my time has been spent on a bike, compared to 63% the year before. Broad overviews hide a lot, 2010 started with huge volume as I cycled the length of New Zealand, I had set myself up for a bigger year. 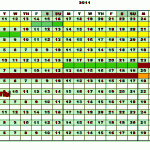 My analysis begins by considering weekly volumes, with particular attention on cycling. 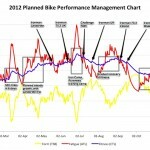 I know this year’s records are not as precise, bike data is reliable, but there are discrepancies in swim and run. As the season had been dominated by cycling I was more interested in comparing bike figures anyway, but the impact of other training can’t be ruled out. Perhaps my improvements on the bike reflected the energy I saved elsewhere? 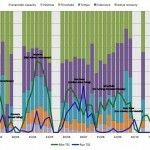 The dark bars in the chart above show distinctive patterns between the two years. 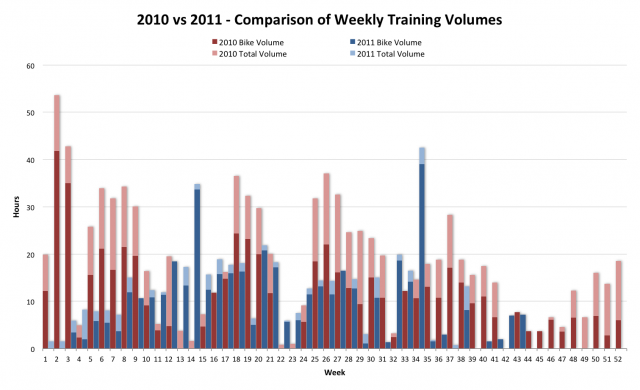 2010 starting with more volume and has three distinct training blocks built around races. In contrast 2011 begins slowly and builds to the summer, hours tend to be steady from then on. Last year followed my boom-or-bust model, peaks of training with lows in recovery, this year was a little more even. More energy to focus on cycling and a consistent build. But hours say very little about how I’ve trained. Training Stress Scores (TSS) begin to factor in intensity and potentially give a better indication of how I have trained. As cycling was my main interest I decided to only consider bike TSS. I again have to acknowledge that running and swimming will have influenced cycling; in particular there was a heavy run block during 2010 when cycling was almost nonexistent, weekly TSS would inevitably be lower. 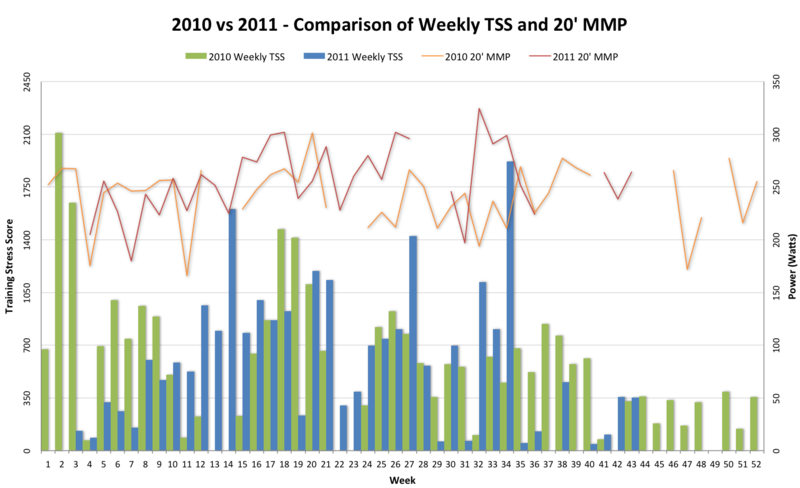 Aware of these limitations, comparing weekly TSS shows a similar pattern to hours, except during the summer months the difference between 2010 and 2011 is less pronounced. If anything it looks like I bank more TSS during the summer of 2011. More bang for the buck. 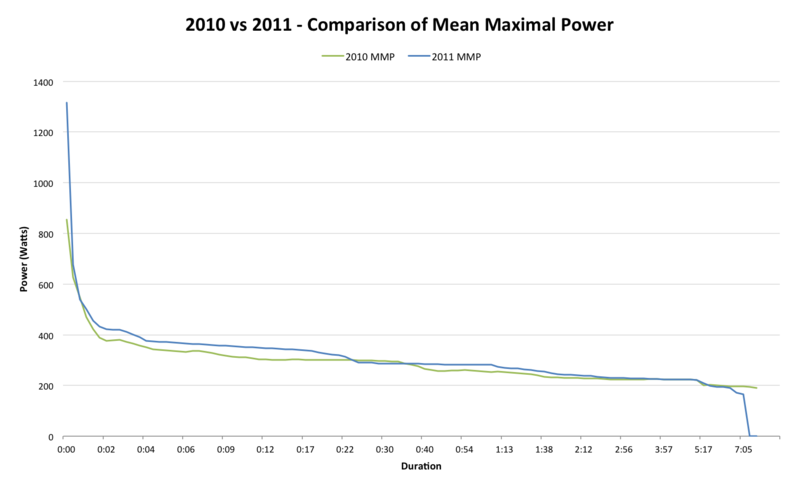 My power data provides more evidence that I have trained harder this year. As the chart above shows twenty minute Mean Maximal Power (MMP), the best effort for that time, was consistently higher over the summer; the same pattern is repeated with sixty minute MMP. More broadly weekly averages of mean maximal powers are around 7% higher this year. I may not have had a plan, but I was pushing myself a little harder. Considering power output further, I plotted a full mean maximal chart, showing my best efforts over durations from one second to seven hours. Again, 2011 mostly demonstrates higher power outputs. I suspect it is largely indicative of changes in my training regime – fewer long rides, more tempo work, more sweet spot and threshold work. No plan didn’t mean I was riding without thought, most weeks I aimed for a certain mix of intensities in training. Large periods of 2010 lacked that same level of focus within individual sessions, broad goals were in place, but often I simply trained. You can build fitness without a plan, but you won’t necessarily make the best job of it. You definitely won’t deal with injury, layoffs or poor time management well without one. Not running or swimming gives you much more energy to put into cycling. Cycling harder makes you a better cyclist. Unsurprising, but a reminder of how being a working athlete and being a full-time athlete differ. The laissez faire approach to training that worked at higher volumes, doesn’t work when I have other distractions. 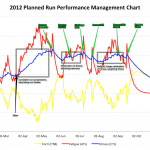 If I want to continue to grow my business and continue to develop as an athlete I need to properly plan. I don’t need to worry about the hours, consistently applying an appropriate level of stress over a long period of time works – riding slightly harder for three months, delivered far better results than a four week burst of high mileage. Next season I can plan, manage volume and intensity more and achieve better results.